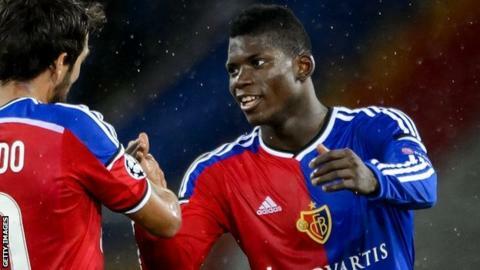 Cameroon-born teenager Breel Embolo has extended his deal with Swiss side FC Basel, the club has announced. The 18-year-old had just over a year to run on his current deal after joining Basel's academy in 2010. The striker, who was voted the 2014 Young Player of the Year in Switzerland, had been linked with a move to German side VfL Wolfsburg. He scored his first goal in the Champions League in a 4-0 win over Ludogorets Razgrad earlier this season.